to all Tata Sky subscribersat no additional cost from 1 to 11 February. The sampling offer will end on the launch day. The channel will be available on EPG No. 155. 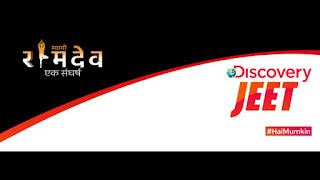 It will also be available on Tata Sky Mobile app under LiveTV and Catch Up.As reported earlier, Discovery Jeet will go live on 12 February. It will launch with a reach of 100 million plus households. ensure that the channel’s content will be available to audiences in more than 190 countries worldwide. Netflix communities globally will be able to binge-watch each series after it is aired on the Discovery Jeet channel in India. 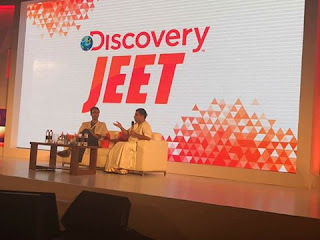 Discovery Jeet’s programming line-up includes ‘Swami Ramdev: Ek Sangharsh’, ’21 Sarfarosh: Saragarhi 1897′, ‘Mere Papa Hero Hiralal’, ‘Khan No 1’, ‘Comedy High School’, ‘Gabru: Hip-Hop Ke Shehzaade’, ‘Anjaan: Special Crimes Unit’, ‘Man Vs Wild with Sunny Leone’, and ‘Lucha: Dangal Ke Sultan’.